I am an 18 wheeler mechanic so my knowledge of hydraulic brakes is slim. Just changed front and rear brakes. When I changed the front left brake fluid overflowed from the reservoir when I compressed the caliper but only on that wheel. After replacing all the brakes I went to test drive but brake light was on and pedal goes to the floor. I tried engine off and pump the brakes hard then start engine but still did not help much at all. When I unplugged the sensor in the proportioning valve the light goes off. I read somewhere I need to reset the valve but unsure how. Main question, should I try and reset the valve or is my problem else where? Also I did not bleed the brakes. This sounds like the seals failed in the master cylinder. I would get a replacement master cylinder, bench bleed it and install. Then bleed all the wheels. 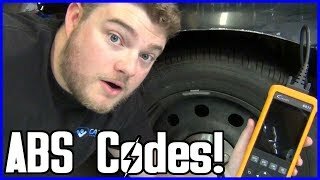 Would this be why so much fluid leaked back out when compressing the calipers? When you pushed back the calipers, the fluid went back up into the master cylinder and forced its way out of the cap. That is normal.